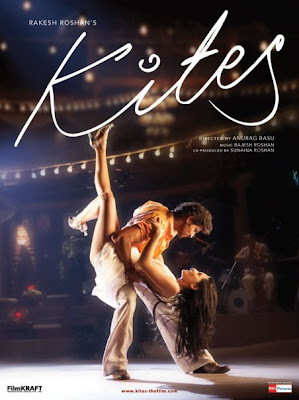 Reliance Big Pictures will release "Kites: The Remix", in Toronto, Vancouver, Edmonton and Calgary, May 28. "...A supremely romantic tale of star-crossed lovers destined to be together but doomed to be apart, 'Kites' is Bollywood as you’ve never seen it before. Filmed almost entirely in English and Spanish, and completely set in America and Mexico, the film is far more international in appeal than most traditional Indian super-productions. Impossible to categorize, it blithely leaps from romance, to musical, to action adventure, to western, referencing any number of Hollywood genres while reveling in each of them..."
Officially billed as "A Brett Ratner Presentation", Ratner’s version of "Kites", is a 'remix' of the original "Kites" feature, now running 90 minutes as opposed to the 130–minute original.